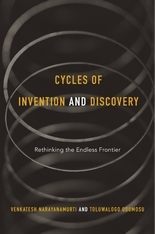 Cycles of Invention and Discovery offers an in-depth look at the real-world practice of science and engineering. It shows how the standard categories of “basic” and “applied” have become a hindrance to the organization of the U.S. science and technology enterprise. Tracing the history of these problematic categories, Venkatesh Narayanamurti and Toluwalogo Odumosu document how historical views of policy makers and scientists have led to the construction of science as a pure ideal on the one hand and of engineering as a practical (and inherently less prestigious) activity on the other. Even today, this erroneous but still widespread distinction forces these two endeavors into separate silos, misdirects billions of dollars, and thwarts progress in science and engineering research. The authors contrast this outmoded perspective with the lived experiences of researchers at major research laboratories. Using such Nobel Prize–winning examples as magnetic resonance imaging, the transistor, and the laser, they explore the daily micro-practices of research, showing how distinctions between the search for knowledge and creative problem solving break down when one pays attention to the ways in which pathbreaking research actually happens. By studying key contemporary research institutions, the authors highlight the importance of integrated research practices, contrasting these with models of research in the classic but still-influential report Science the Endless Frontier. 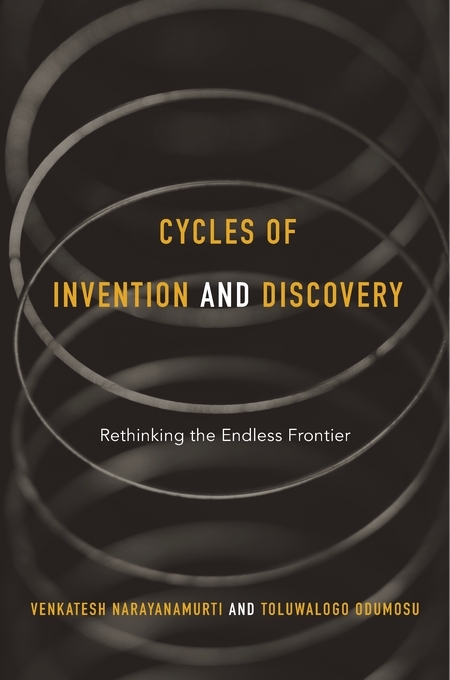 Narayanamurti and Odumosu’s new model of the research ecosystem underscores that discovery and invention are often two sides of the same coin that moves innovation forward.